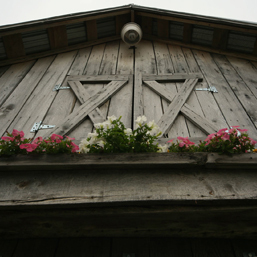 Early American settlers utilized the resources around them to construct the barns and homes they lived in. Hardwoods such as oak, chestnut and walnut were utilized for their utility now we appreciate both their strength and beauty. 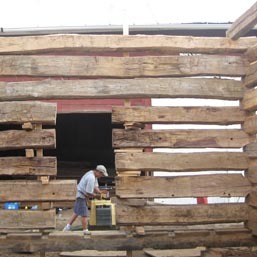 Preserving our heritage (and planet) one timber at a time.Hodupp's Timbers has built just about every type of barn you can imagine. Let us design the auxillary structure of your dreams. Heck, we can even build you a barn to call home if you want!. Hodupp's has authentic log cabins in stock! 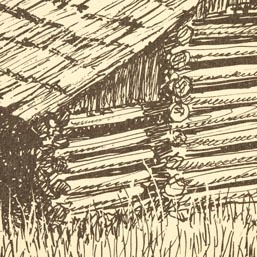 Hodupp's Timbers has several authentic disassembled log cabins in stock! Interested in owning one? We can ship a kit directly to you or we can reconstruct it on site. Contact us regarding sizes and prices.